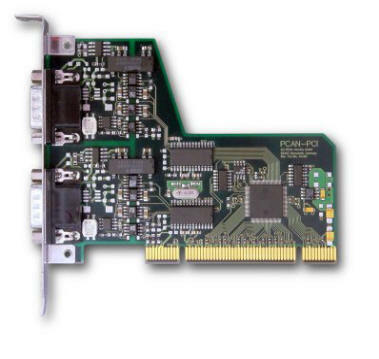 All the PCAN-PCI interfaces supports both 11 bit ID and 29 bit ID CAN specifications with a maximum speed of 1MBaud. The PCAN-PCIs use the SJA1000 CAN-controller and the 82C251 driver. The CAN-bus connection is via a 9-pin SUB-D plug, whose pin assignments conform to the CiA recommendation. No termination is included in the interface. The interfaces and software are 100% PnP compliant. The cPCI unit is available as dual or quad channel both optically isolated. All other versions are available as single or dual channel with or without optical isolation. The PCAN-Basic software package is included to drive the PCI modules from within 32 and 64 bit versions of W7/8.1, Vista, CE (ARM & x86), Linux. It provides simple interfaces to C++, C#, C++/CLR, Delphi, VB, .NET,Java and Python 2.6. The PCAN-View package is a useful Windows diagnostic program that displays and logs all messages on the bus as well as allowing manual creation of test messages. Are a set of drives for time critical multi-threaded applications and the PCAN- Explorer package that provides advanced CAN bus diagnostics, reporting and control capabilities. Explorer supports J1939 and there is a PCAN-FMS package to operate with that standard.